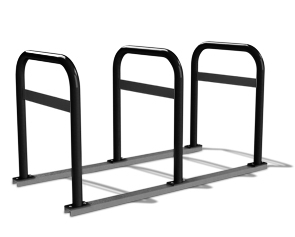 Extended 'U' Racks on Rails with Lean Bars and Cables are perfect for any facility's bike storage needs. As visually appealing as they are useful, these bike racks provide maximum protection enabling people to utilize both cables and locks to secure their bikes at dual-points of contact. 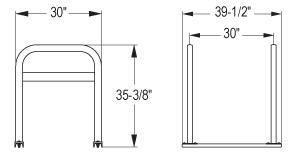 These extended racks are 34" high and constructed from of 2-3/8" diameter steel tubing. 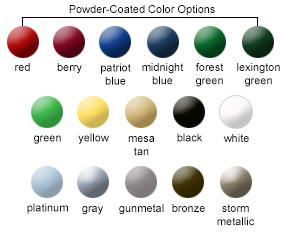 Select from galvanized, powder-coated or powder-coated stainless steel for maximum corrosion protection. Drop In Anchors available for concrete installation.